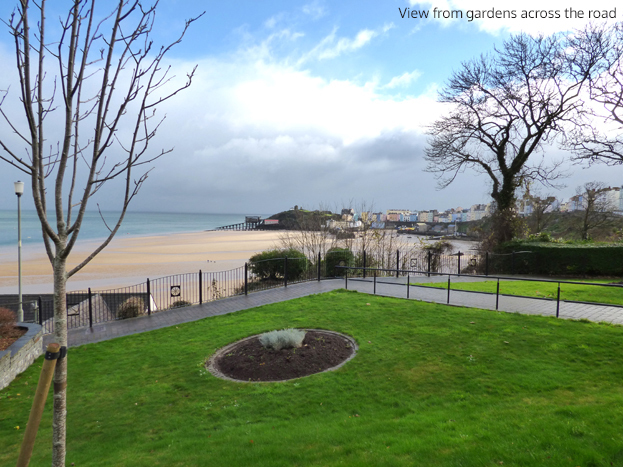 8 Croft Court is a quality, compact, ground floor apartment within a superbly located complex above Tenby’s stunning North Beach. 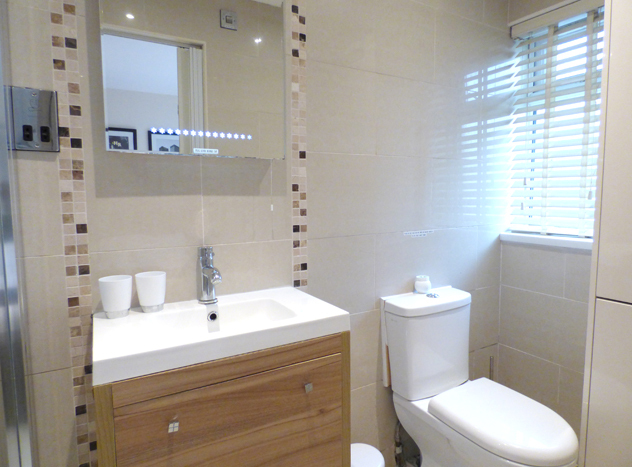 This contemporary apartment has been finished to a high standard with tiled floors and cosy under floor heating. 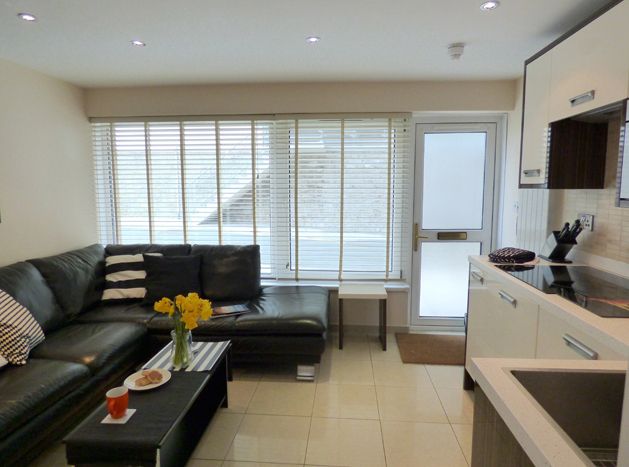 Step into the living space with quality fitted, modern integrated kitchenette and lovely, large leather sofa to relax on, this leads through to the small welcoming double bedroom and ensuite shower room. 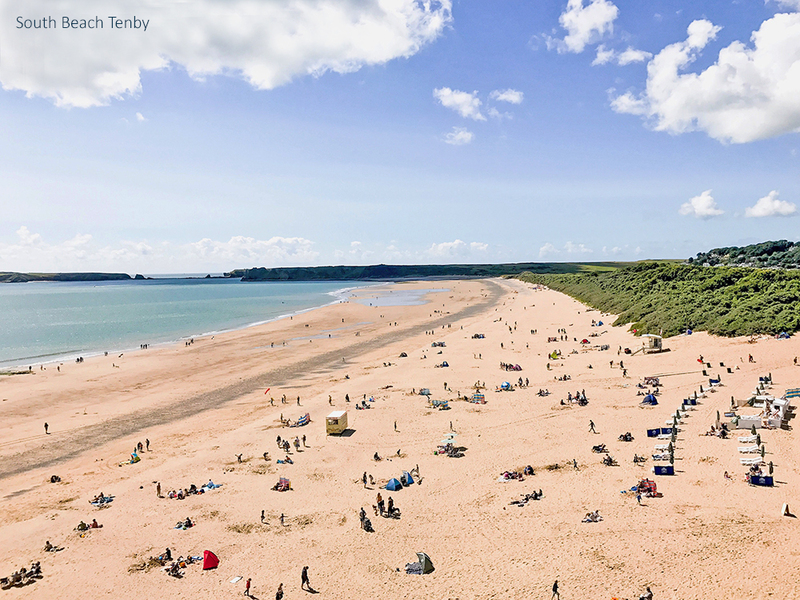 Across the road, the communal garden has steps leading down to the glorious sandy North Beach; spend your days here or explore the other 3 stunning beaches that surround Tenby. 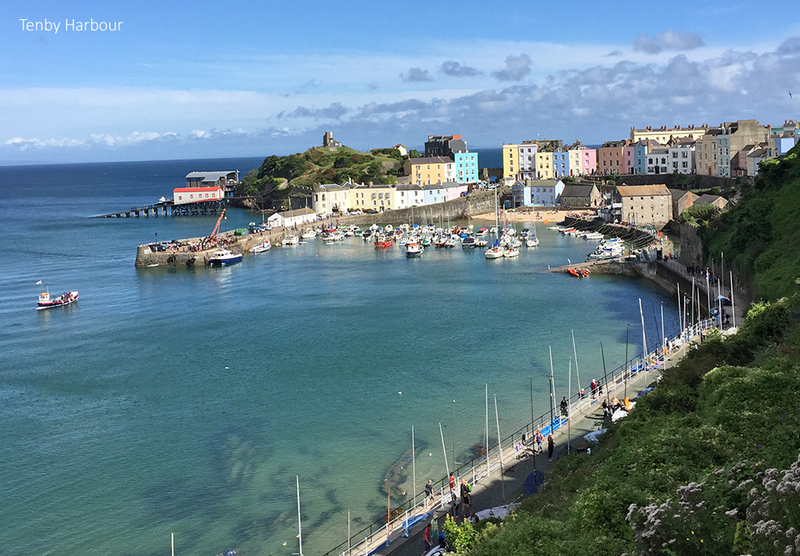 A few minutes walk will take you into the centre of this historical walled town, with its picturesque harbour, cobbled streets and range of pubs, shops and restaurants to choose from. 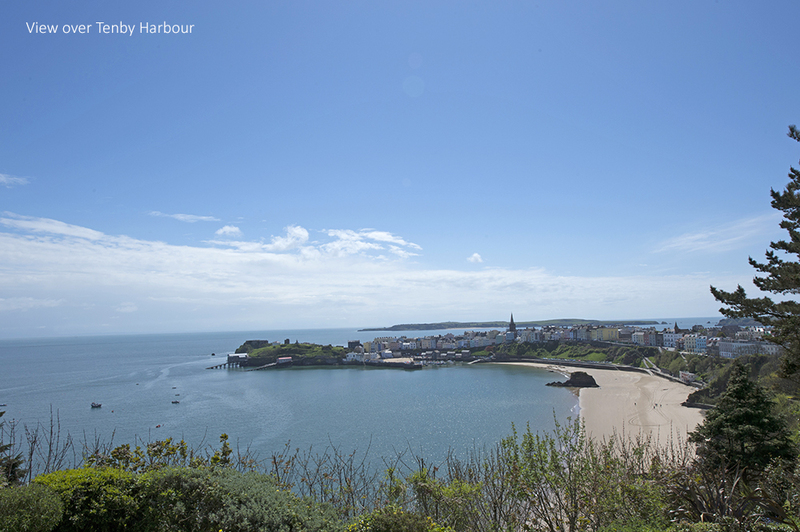 Enjoy a fishing trip or take a boat ride to Caldey Island, the atmosphere is unique as it is home to Cistercian Monks. 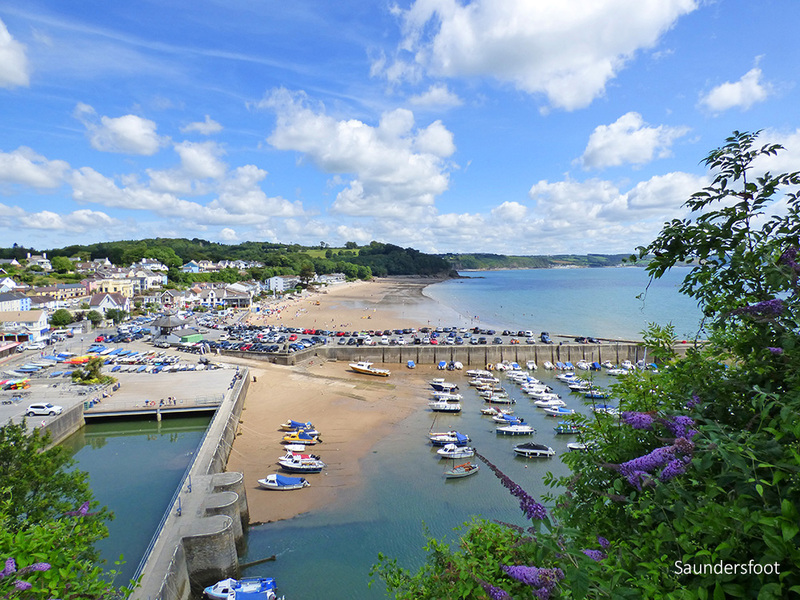 Join the Pembrokeshire Coastal Path to truly appreciate the wonderful coastline, with nearby Saundersfoot well worth a visit, with a range of facilities and beautiful long sandy beaches, while in the other direction lies the seaside village of Manorbier with its sheltered beach and medieval Castle. For keen golfers there are a choice of courses including Trefloyne Golf Course and Country Club and Tenby Links Golf Club. This is an ideal holiday base conveniently located for a couple to escape to whatever the season, leave your car behind and truly relax. 3 star due to compact nature of the apartment. Unfortunately, only one small dog welcome due to this reason. 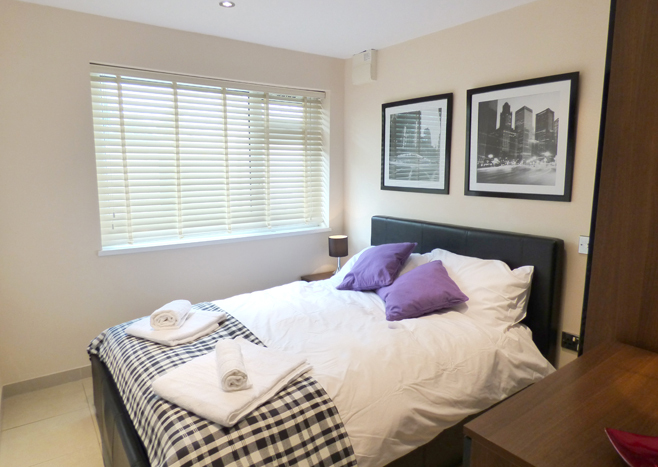 Ground Floor: Open plan lounge/kitchenette, double room/ensuite shower room/whb/wc. 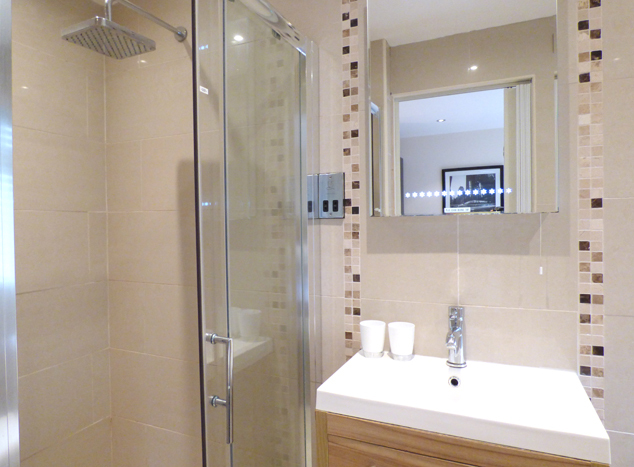 Heating: Gas central heating and underfloor heating. 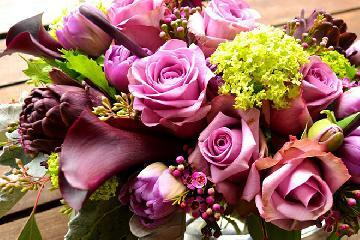 Electricity: & Gas: £10 per week September - May, free June - August. Parking: Space in communal car park - Not allocated. 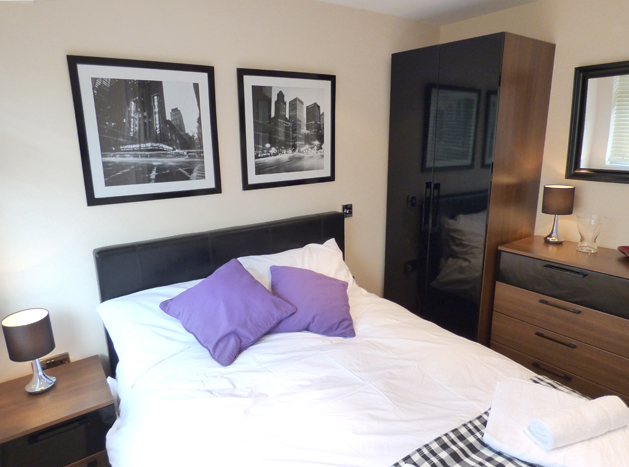 Facilities: Electric hob, combi-microwave/grill, fridge, washer/dryer, TV, DVD player, iPod dock, WiFi, towels. 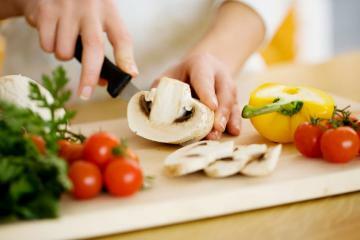 There is no traditional oven. 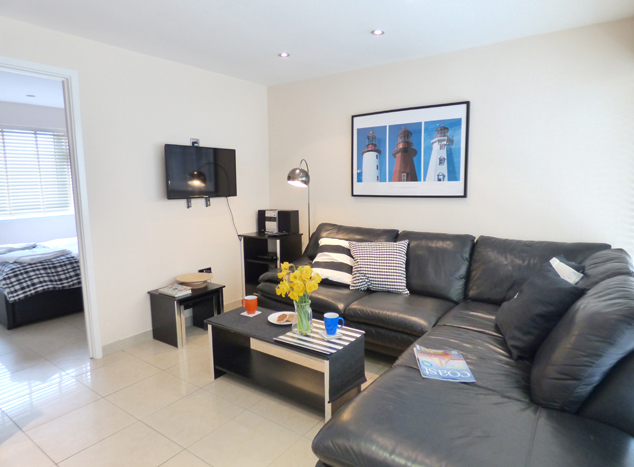 The location of the accommodation was excellent- just a few minutes walk to town & across the road from the beach. 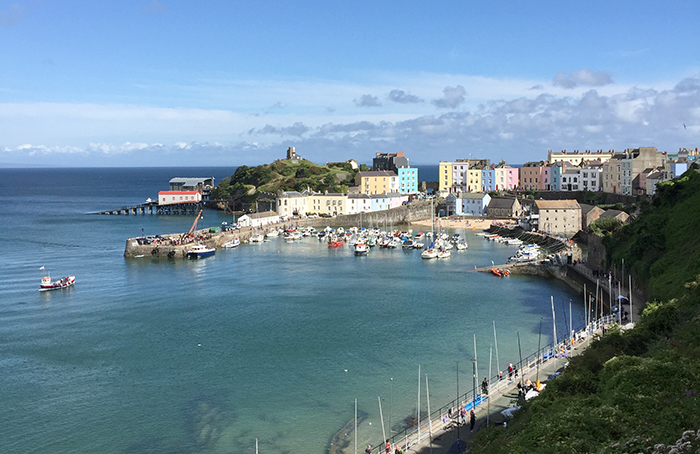 Tenby is a lovely town with lots to see and places to relax if you don't want to do much! We loved the South Beach shack & grill which is in a lovely location with the added bonus that we could take our dog on the beach there. The communication from & with your company was excellent at all times with the information provided fully detailed & very friendly staff on the phone. Approached via an A-road; parking is available in any vacant space once entering the Croft Court complex. A parking permit will be left in the property, it is necessary to display this permit on the car dashboard. 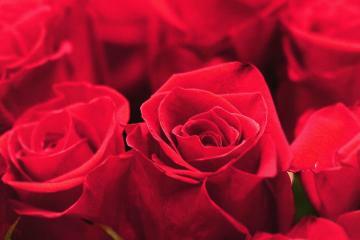 When vacating the apartment, please leave in the same place where found. The main entrance is at pavement level with only a slight step into a totally flat floor area on one level. Ground floor facilities include open plan kitchenette/lounge, 1 bedroom with ensuite shower room/whb/wc and walk in shower cubicle with glass sliding door approximately 500mm wide. 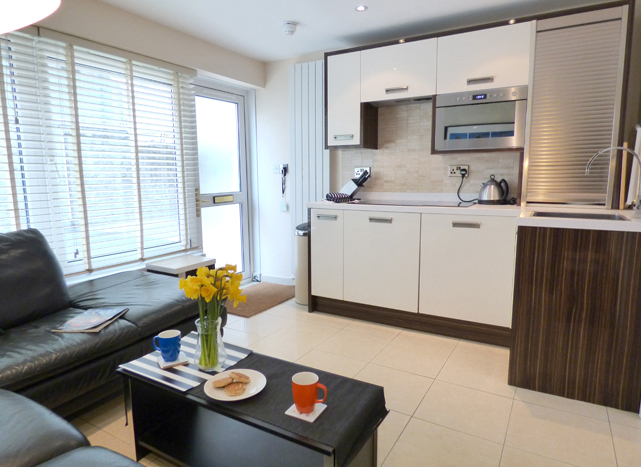 The kitchen comprises:- work top with cupboards under, electric hob, washer/drier and fridge. There are wall units above for storage, extractor fan and built-in dual function microwave (grill and oven). Cutlery and crockery are stored in wall cupboards. Cooking pans etc are stored under sink. 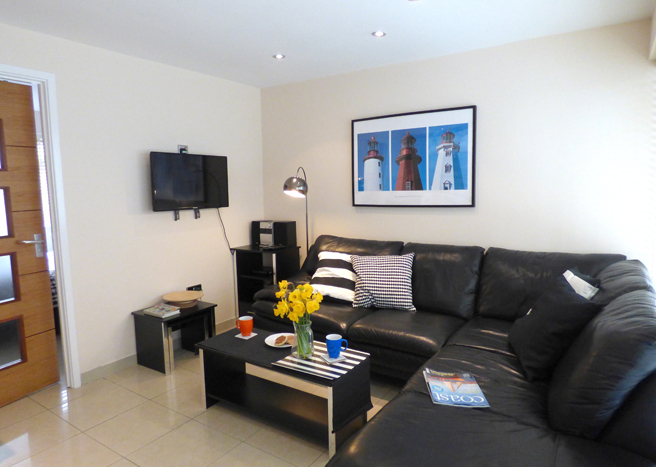 There is a wall-mounted flat screen TV with remote and DVD player. Compact radio, CD player. WiFi. 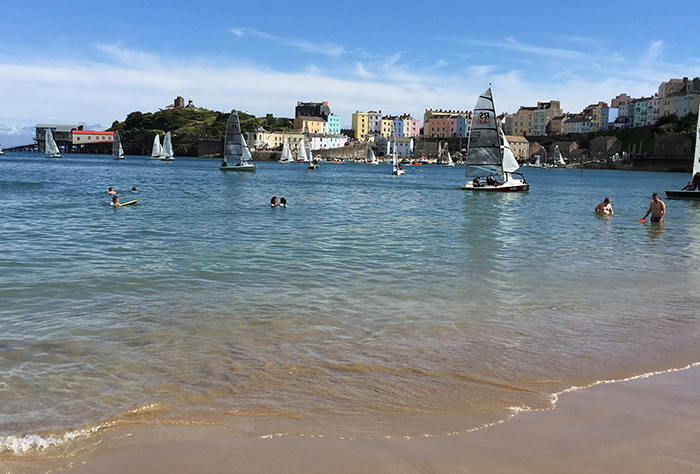 Tenby town centre and beaches are a short walk away. How would you like to contact us about 8 Croft Court?